Hey guys! 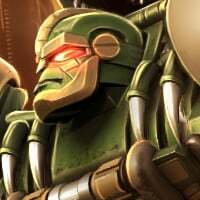 I'm in desperate need of advice on how to beat Grimlock on expert level mods in 2.2, as my team hasn't cut it so far and has only depleted 1/3 of his help. Bot advice, fight advice, and synergy advice would be highly appreciated! Thank you! do not shoot him...let him dash and then counter him....any bot could do this. Post your line-up and we'll see. Melee attack with CYCLONUS. Nullify his dino-arse. 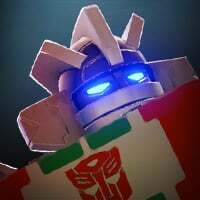 G1 megs is pretty much my answer to anything spotlight related. It’s ridiculous how effective he is. SO I don't have Megatron or Cyclonus Duped or at a sufficient level(4 star rank 1 10/10) My best bots are prowl, kickback, and wheeljack, all around 2500 pi. Wheeljack is the only one duped. The rest are a group of maxed out and duped 3-stars with a duped 1376 4 star bludgeon and a 4 star 1408 galvatron unduped, along with a duped 1498 megatronus 3-star. Still OP. But I have a 4 star rank 1 maxed tac bee. I'd recommend completing Spotlight easy, med, hard, and achieving 16 objectives. Umm, Would I be able to complete Expert at least with this squad? Megatron doesn’t need to be duped to be effective, against grimlock at least. It use gives him overkill on spotlight. Fuse that armour break sp1, and keep stacking them, the final hit of a med combo will refresh the break duration. Keep them coming and he’ll fall eventually. Grims got quite a beefy health pool, the quicker you bring him down, the better. Would get megs ranked up ASAP. @Hijacker2531 you could, but it'd be tough. Those Expert Bosses are like 22,000Pi or more. Hit those easy, med and hard spotlights. Hit em hard. Grow organically (or with cash. You're welcome, Kabam) otherwise you'll burn out. And again: T4 crystal, crystal arenas are your best bet of beefing up your roster. I've done the easy meds and hards with ease. Been here since the beginning with the inauguration bosses. Been here a long time. But I dropped off. For a year. Got back into this game last summer for real and played for about 3-4 hours a week ever since. So I've seen this game grow. But I don't use cash and don't grind, so I haven't been able to buff up with major 5*s(tho I'm stacked on 4* and gold and Ore, not time) So this isn't like a newbie asking for help. I'm just trying to get where I'm supposed to be. Thanks for the help/advice, and more strategies would be appreciated as well. I have also a budget of 123 energon(all of it! What are the mods on grimlock again? Admittedly I’ve kinda neglected running the old spotlights, not that fussed about them. Are you playing on Expert or Master? Sorry, I just think of it as weird for someone who plays on Master to not at ALL look at mods, and even someone playing on Expert is kinda unbelievable. 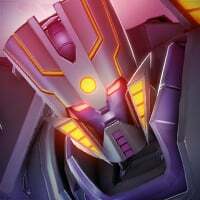 Fight on Wheljaack of megatronus. I could stroll master if I wanted to. But running old spotlights I’ve done before is kinda boring to me. I’ll do the daily missions, and farm exp from story, the odd arena that takes my interest. But rerunning stuff I’ve already done, not for me. Bluntly put, I’m losing interest. Pretty much why I’ve been harking on at kabam for new content, even copying mcoc if it means something new. Don’t want to give up on the game, but it’s not exactly encouraging me to keep going. Why would I want to rerun stuff I’ve already done? I get kabam saying it’s to beef up our rosters, but I honestly don’t need to. Neither do I buy it as a reason, I think it’s licensing issues. No 5* I have is worth ranking up further than any of the 4* I’ve got, except 5* grim, my only pet project just now since he’s duped. Unduped 5* g1 megs ain’t going to displace my duped, max rank and forge 4* megs anytime soon. Neither is scream or Magnus. Until they bring out NEW content, I’m not that bothered. I wouldn’t mind running old content alongside new stuff, but if this is all we have to go on, then I’m not going to bother. Don’t have to, and don’t particularly want to either. However, I do know a fair bit about the game and how to counter certain bots and mods. I’m happy to pass that info on while I still have any degree of interest in the game. As I said, not giving up, but rapidly losing interest as well. Megs will decimate him. You won’t have to worry too much about giving him unstoppable once you’ve stripped him of absorb ranged, you’ll be able to get shots in without a worry. If taking damage is your main concern, save wheeljack for last, with megs second last. Use everything else you’ve got to drain his health as much as you can. You won’t be able to get max melee buffs with prowl without playing the ranged game, so take what you can get from him first. Switch to kickback and just lay waste to him. Go for sp2 or sp3, you don’t want to land a shock. If you have at least one power leak on him, he won’t be able to use sp3, so again, do as much as you can, be aggressive while mindful of absorb ranged. Throw your next best bot in 3rd. With megs, fuse that armour break and strip those buffs off him. Spam away with sp1 and do as much damage as you possibly can. If he’s still standing after that, use wheeljack. As mentioned earlier, get those power rate buffs ASAP. You should be able to hit sp3 with ease to keep healing. Use this to keep you alive. If you haven’t done so already, invest a point in nano repair. 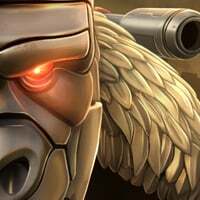 Will greatly extend WJ’s survivability and negate the immediate need to go for sp3 if you don’t have power rate as your first buff. Hope this helps mate. I remember too well what it felt like to take on bots above your weight in expert, but you can adjust. Eventually you’ll go from completing expert, to fully exploring, to exploring the 1st chapter in master, then 2nd in no time. You’ll build up that roster and it’ll get easier. I didn’t mean to come across as bigheaded in saying I could stroll master if I wanted to, but adjusting to that increase in difficulty and having a solid roster of bots to master is half the battle. I’d love to see any player go through master with a team of r1 4*’s, id never manage it regardless of roster. The gap in difficulty is just too big. If it means you need to drop down to exploring hard, dont be afraid to do it. Grims got a solid set of mods and primal is probably going to be just as hard. Everyone’s got a ceiling. I had one a few months ago, megatronus spotlight. Just couldn’t finish him. He was too much. No amount of energon and revives was changing it. Ultra Magnus is a huge help, as well as Tactician Megatron. Anyone who can make an armor break often of make one stick. That hurts heavily armored fighters. THANK YOU SO MUCH! I'm about to take hium on. LEt's get it! Any luck so far @Hijacker2531? The Order you suggested earlier was extremely helpful, and I was able to beat Grimmy with ease and without any revives. It also helped that the second time around I went on an easier set of lines. I made it to dinobot, and I just needed a single revive and heal on nanojack so I could have a 60 second shield to defeat dinobot. I made it to Primal, and well... After the first fight, I decided to do some dailys and a last chapter story mode rerun so I could get some gold and sparks to upgrade my bots, mainly megs and possibly my 4* starscream(unduped). Focus Frenzy is definitely a bother, so any advice on how to neutralize that properly would be appreciated. Thank you so much! I just reached Grimlock in Expert Mode in my last run. 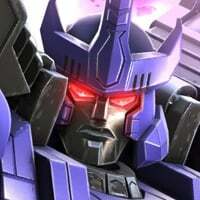 I sent the following bots: Max 4* Megatronus, Max 4* Bonecrusher, Max 4* Tantrum, Max 4* Nanojack (my newest upgraded bot & addition to my elite team), & R2 Max 5* Starscream (everyone except Screamer was duped). Took the hardest path to start. Tantrum, BC, & NJ did the heavy lifting on the path. Got to Grimlock. Sent my weakened Tantrum first. Melee’d & electrocuted the King down to 65%. Then sent BC to do some tiny bleeds & somehow got Grim down to 35%. Finished him off w/ Tronus & his Dark Burn. Still had a 100% NJ & SS left in reserve. 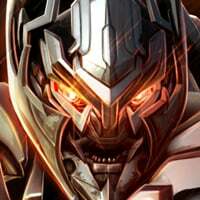 BTW, I had my base relics set to the Allspark, Star Saber, Effigy of Solus Prime, & Bronze Shattered Disk, which increased total attack & health of all my bots anywhere from 10-15% in the Special Mission. That put my total team rating at close to 20k. I’ll clear the other 3 Grim paths today... and then comes Chapter 3... *heavy sigh*. P.S. Just cleared the 2nd Hardest Path (the Energy Absorption Path). Same strategy, although I had to use Screamer & Tronus a little instead of NJ. Same result.